Tesla had an accident last week and has confirmed that its autopilot system was engaged in a fatal crash, which has increased the concerns for the safety of futuristic autonomous vehicles. This accident clearly shows that Autopilot is still way far from becoming totally independent and work without any human interaction. Autopilot is considered to be the second level amongst the five levels of autonomous vehicles, the fifth level being the fully autonomous one. 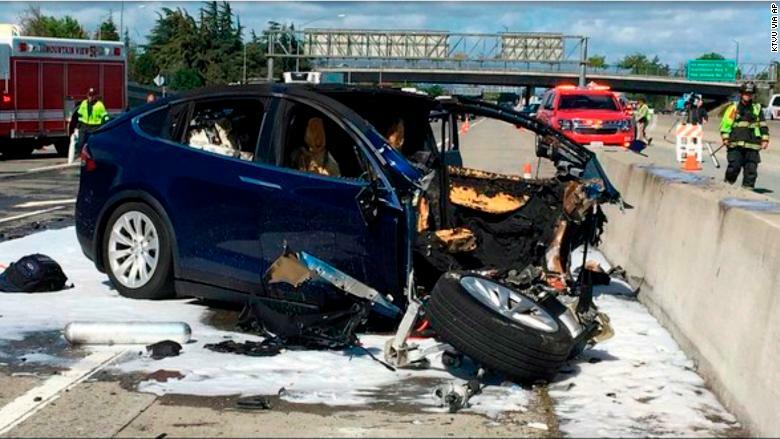 The accident happened last week included the latest model by Tesla, Model X, which had a collision with the highway barrier near the town of Mountain View in California and caught fire before the two other cars struck it. The driver died in the hospital and Tesla claims that the driver activated the Autopilot but ignored the various warnings. The driver received various warnings visual and audio earlier during the drive and the driver’s hands were not detected six seconds prior to the crash. The reason behind this crash could also be explained by the crushed highway barrier which was crush in a prior accident but wasn’t replaced with a new one though. They also said that over a year ago the US government found that with the help of Autopilot there was a reduction in the accidents by 40 percent. In the same week, an Autonomous car was involved in an accident in which a pedestrian died by an Uber autonomous vehicle. The two crashes were different in their way since Tesla’s Autopilot is a driver assistance feature, while the Uber vehicle was designed to operate autonomously but with a driver behind the wheel to correct mistakes. The driver was a bit distracted before the car hit the woman on the road, as is shown in the video released by the police. After all these accidents, many people are questioning the safety of the driver and others on the roads since the autonomous vehicles are still not ready to be put up on the road and there’s a long way to it. Meanwhile, various other companies are starting to test their vehicle on the roads like General Motors which is going to do so at the beginning of the next year. Next articleGoogle’s DeepMind AI Takes An Aggressive Nature. Is That A Reason To Worry?